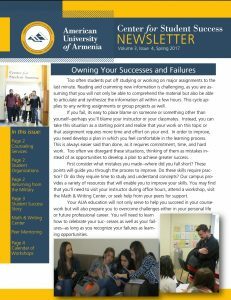 Disability Support Services in cooperation with AUA faculty strive to provide AUA students equal learning opportunities. With guidance from faculty, Disability Support Services develops appropriate accommodations to meet the needs of the students while maintaining the integrity of the course standards and program requirements. Faculty members are only responsible to provide accommodations processed from Disability Support Services. Disability Support Services does not conduct testing for disabilities. Students must come with appropriate documentation of their disability when filing a self-identification form. Faculty can play an important role by informing and encouraging students with a disability to seek Disability Support Services. By law, the student must give consent for their information to be released to faculty or staff. All disability information must be treated confidentially and shared only for the purpose of providing accommodations or services. Not all students who have disabilities necessarily request disability support services. The student is responsible for requesting assistance and submitting a self-identification form. 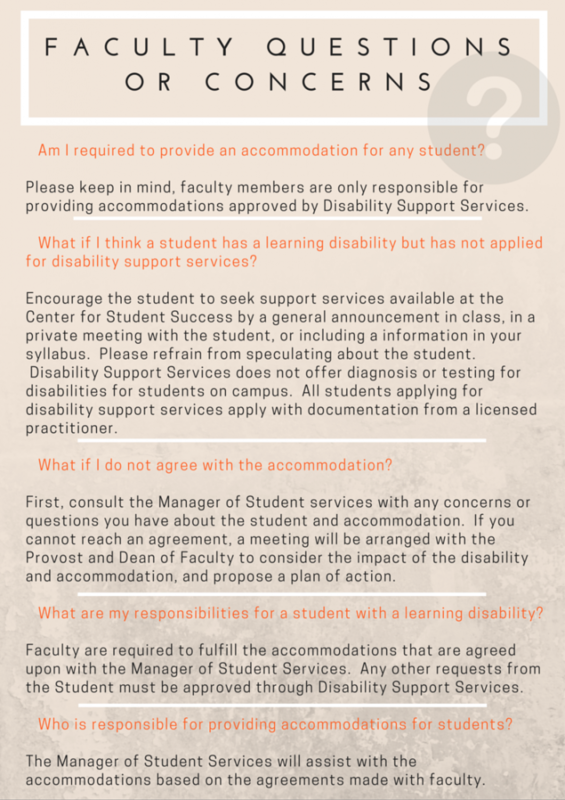 There are specific cases where students may be eligible to receive assistance from Disability Support Services such as preferential seating, note-taking, and audio recording lectures. For some cases, students with disabilities may require testing accommodations. These accommodations may include the following options, to name a few: providing a quiet testing space, extended time, scribing, and oral assessment. 1. An AUA student submits a self-identification form to the Disability Services. 2. AUA Counselor meets with the student to verify forms and accommodations. 3. Based on the student’s request, information regarding the requested accommodations are brought to the attention of faculty who will be directly involved with the student. For any other question or concern you may have, please do not hesitate to contact the AUA Counselor, by emailing yelena.sardaryan@aua.am or call 060 61-25-19.